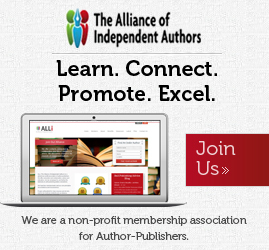 Authoright provides advice and various self-publishing and publicity services for authors. Founded by author Gareth Howard and journalist Hayley Radford in 2007, Authoright has offices in London and New York. The company’s ethos is to “empower and inspire” authors whilst helping them get their books published and out to readers. 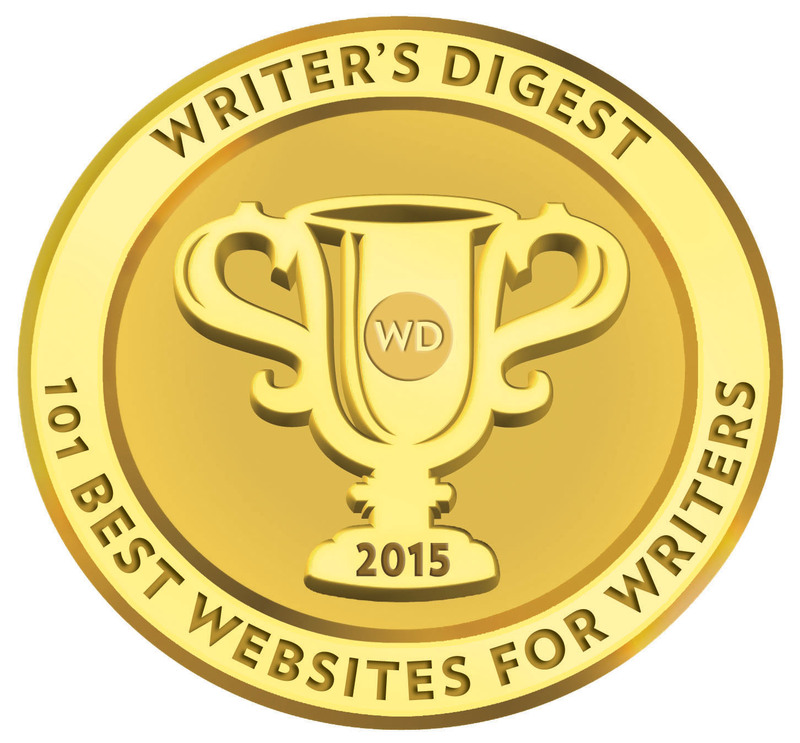 Authoright has worked with over 3,000 writers. Each year its Author Consultants speak to around 2,500 writers free of charge, helping them to identify and solve their publishing needs; we are the only company to do so anywhere in the world. Authors from all routes to publication can come to Authoright for help with their editing, book cover design, website development, branding, bespoke self publishing, social media, marketing and publicity. It’s hard to describe what Authoright does in just a few succinct words. It’s a consultancy for authors of all kinds (indie and traditional); but it’s also a self-publishing services provider with a strong focus on marketing and publicity services. The company organised the first ever London Author Fair in 2014, which is set to become an annual program of workshops and seminars. It also hosted the revamped Author’s Lounge at the London Book Fair in 2013. Authoright provides a full list of staff and their work backgrounds on its website. In the interest of transparency, I want to note at this point that the Honorary Chairman of Authoright is Tim Davies, with considerable experience in the publishing industry, including senior management positions at HarperCollins, Faber & Faber, Oxford University Press, Baker & Taylor and AuthorHouse UK (an Author Solutions division). Davies later founded Swift Publishing which lists Authoright as a partner. Along with working directly with authors, Authoright works with writing communities, literary agents and self-publishing platforms. What’s perhaps appealing about Authoright for many authors is that its publishing services are both flexible and bespoke; meaning authors can use some or all of the company’s services no matter what route of self-publishing is chosen. Clink Street Publishing is Authoright’s own self-publishing imprint, powered by Ingram and ePubDirect. However, when I checked the website of the imprint (January 2015), it appeared to be down or still under construction. The imprint was launched in February 2014 at the London Author Fair. That’s something of a concern because Authoright (outside of a few features on its blog) doesn’t support a its own online bookstore or catalogue of titles. Authors can also choose to publish through any of the leading DIY self-publishing platforms like Blurb, Lulu, CreateSpace, Kindle Direct Publishing, Kobo Writing Life, Nook Press, Smashwords and Bookbaby. It’s entirely up to authors what they do once their books are edited and designed. Authoright has no commercial incentive with any of the companies listed. Authoright has various levels of editing services; proofreading, copyediting and structural editing. It can be difficult for the same editor to undertake multiple revisions of the same manuscript, because, being human, they can begin to overlook tiny errors once they have grown used to a particular manuscript. Ideally, the editor performing the final proofread should be different to the editor who worked on the structural and copy editing. Authoright can undertake any kind of book design work, but its philosophy is to treat the book cover as an element of the author’s branding rather than as an isolated book project. This means ensuring that the book cover and brand is carried through to the author’s website, newsletter and social media accounts. You can check out some examples of book covers designed by Authoright here. Generally I think the cover design quality varies between okay to reasonably good. This is Authoright’s full-service publishing and marketing program for self-published authors. It takes the author’s book from manuscript to publication and comes with an international marketing campaign. Authoright aims the Concierge program at authors who want considerable support and project management during the pre and post publication process. Many authors who purchase publishing packages from so-called self-publishing companies end up realising that the support and services offered by some full-service companies are anything but the complete publishing package. Authoright’s Concierge service is designed to provide the same levels [sic] creative excellence, attention to detail, publishing industry insight and author support that a big traditional publisher would provide for their clients. In this service, we have combined a series of key self publishing, book advertising and book marketing services. These are all services we offer individually, but we perform the Concierge at a discounted rate. Authoright ISBN and global online distribution through Amazon, B&N, Waterstones, etc. Eight-week UK and US book marketing campaigns, including media coaching and weekly updates on media interest. Authoright list all its marketing services here and they can be purchased as standalone services. I checked out some of the Clink Street Publishing titles on Amazon because I wanted to see the quality of book layout and editing using the ‘look inside’ feature, and I discovered some curiosities. First, there were just 37 titles listed, with 13 not let published. I would have expected far more published titles by Clink, and it might suggest most authors are opting for the more flexible publishing path with Authoright. One of the titles I checked was The Power & Intelligence of Karma & Reincarnation by ‘Darma’. While Clink was as the publisher, the interior revealed that Balboa Press (a Hay House imprint run by Author Solutions) was actually listed as the publisher in the front matter! Most of the other books I checked were well-edited and they all listed Clink as the publisher with its logo in the front matter. Authoright strikes me as a company trying to be all things to all authors without really offering the flexibility I first expected. The company offers free consultations by phone and several of my author clients have contacted them about their publishing projects. They found them responsive, open, helpful and very author and book focused, rather than just intent on up-selling publishing services. And that’s a great plus for any company. 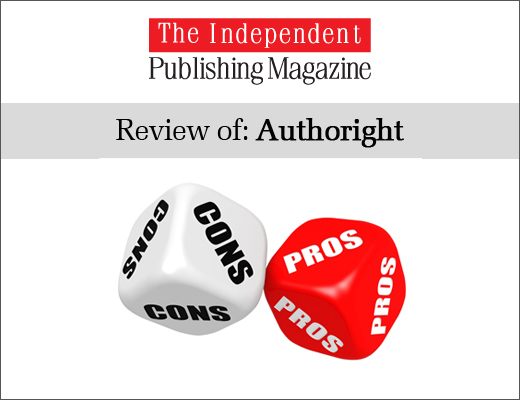 I’m less convinced about Authoright’s publishing imprint and whether it really fits in all that well with its suite of publishing and marketing services. If I am an author and I want to go the full-service self-publishing route, then I think I’m going to be more inclined to go with a dedicated company supplying exactly that. And this is where I think Authoright need to split concisely the divisions of their business. 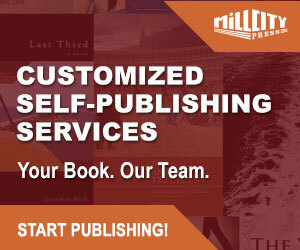 Clink Street Publishing should be an imprint in its own right, offering the Concierge service or various staged levels of publishing assistance. I’m simply not sure why authors who want to use DIY publishing services like Blurb, Smashwords, KDP, CreateSpace or Lulu would want to do it through Authoright. I think Authoright would be better using the Authoright brand solely as a marketing and publicity company for authors and publishers. While a 70% royalty rate may seem attractive, it should be remembered that this is a net figure after retail and distributor discounts, which are set at a percentage of a book’s retail price — anywhere between 40-60%. My single biggest concern about Authoright is pricing — that is, firstly, the complete lack of pricing for services on its website for anything. I don’t accept the argument that ‘all books are different’ and ‘every book needs to be costed.’ True, but the cost of labour and time can be costed whether per book or service, particularly when it comes to services like editing, printing and press releases services. Secondly, I’m concerned about some of the costs reported back to me by authors using various services provided by Authoright. Those reports pretty much chime in with a piece by author Yvonne Hertzberger written in November 2014. In my reply I also asked for a price list. To his credit, “Ed” sent the price list almost immediately and we set a time to speak. The list gave me sticker shock. Here are a few examples: proofread (light polish) – $15.00 per 1000 words; copy edit – $25 per 1000 words; publisher’s edit (full) – $37 per 1000 words; cover design – $850; press release (U. S. or U.K. only) – $850; social media campaign (Facebook and Twitter – with their “expert” techniques) – $1600. And it goes up from there for larger marketing packages. The “Atlantic Publicist” – their two continent package – is $6000, a book trailer – $2000. Need I go on? Even for full-service publishing providers, these prices are very high and a complete publishing package (with marketing and publicity added) is going to amount to several thousand dollars. The editorial prices are on a par with many other self-publishing service providers, but I always advise authors, whatever publishing path they choose, to work directly with a freelance editor because the costs are generally cheaper. Authoright lists testimonials (2 authors and 2 industry players!) and successes (a list of media logos!) on its website, but I really do think for a company specialising and trumpeting its marketing and publicity services, it could do a great deal better to add more substance to these claimed successes. What it needs to do is directly link to the coverage its client-authors got from the listed media sources (interviews and features). That’s the kind of information that is going to influence an author to work with Authoright, and I just don’t see enough to persuade many authors who have the budget to invest in a serious marketing plan for their books. Marketing and publicity is one of the most expensive aspects of publishing a book and attempting to garner media exposure and reach the largest readership as possible. It doesn’t come cheap and without a great deal of effort and time, whether you are a self-published or traditionally published author. You may well be able to find someone claiming to be a copyeditor who will do something to your manuscript for less than $25/1000 words, but that’s hardly “very high” for a professional edit. It’s a mistake to skimp on copyediting.